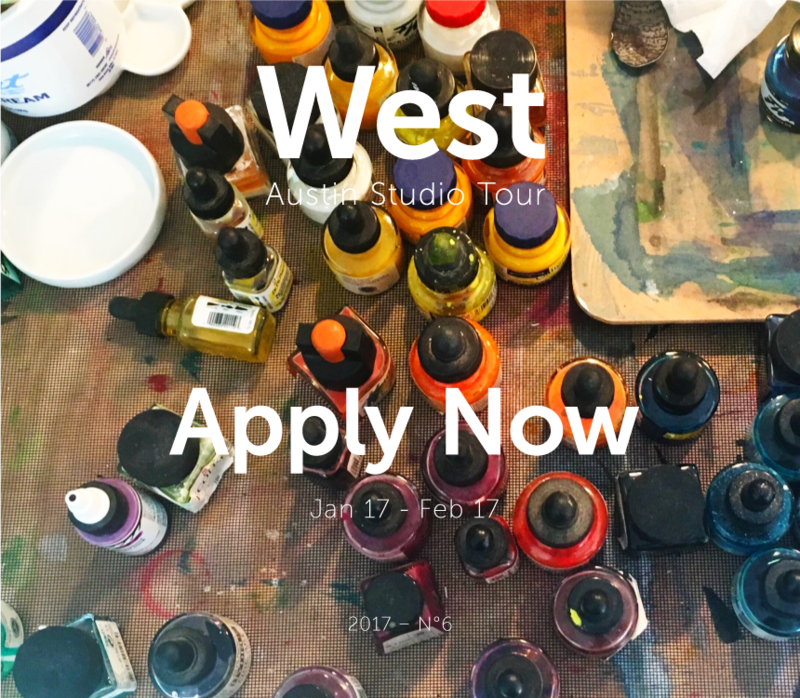 West Austin Studio Tour is now accepting applications! If you're an Artist with a studio or gallery in the designated area (or you can find a space to display like Blue Genie's new spot), you could be a good fit. This Big Medium organized event provides art lovers an amazing opportunity to see you and your work in your "natural" creative environment. There is no charge for attendees, and they get to choose which art they make it out to see. Its two weekends full of art adventures and gallery hunting! West is now in its 6th year and continues doing a beautiful job connecting Artists and Art enthusiasts. More details below. Good luck if you apply! *Information subject to change. Confirm on the event website.